CHICAGO, the United States (BulgarianMilitary.com) – US aerospace giant Boeing has been awarded a $14 billion contract to modify, modernize and test weapons systems on B-1 and B-52 bombers, according to the U.S. Department of Defense, learned BulgarianMilitary.com, quoting Defence Blog. This B-1/B-52 Flexible Acquisition and Sustainment contract provides for the upcoming modernization and sustainment efforts to increase lethality, enhance survivability, improve supportability, and increase responsiveness, according to a Defense Department report. “Work will be performed in Oklahoma City, Oklahoma, and is expected to be complete by April 11, 2029,” said in report. Under a contract awarded on 12 April by the Air Force Life Cycle Management Center, Boeing will perform engineering work and support to ensure the bombers capability to penetrate air defenses and carry out a wide range of critical missions. Details of new contact are undisclosed. The B-1 is a highly versatile, multi-mission strike bomber. 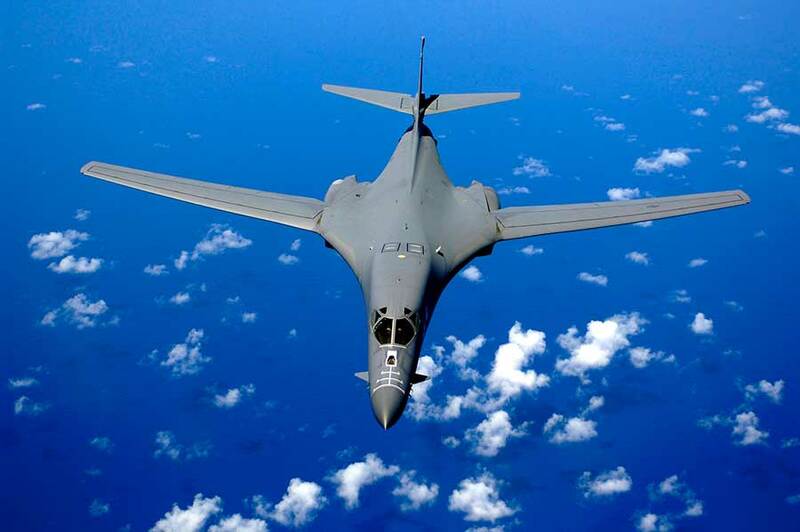 The B-1B’s synthetic aperture radar is capable of tracking, targeting and engaging moving vehicles as well as self-targeting and terrain-following modes. In addition, an extremely accurate Global Positioning System-aided Inertial Navigation System enables aircrews to navigate without the aid of ground-based navigation aids as well as engage targets with a high level of precision. Carrying the largest conventional payload of both guided and unguided weapons in the Air Force inventory, the multi-mission B-1 is the backbone of America’s long-range bomber force. It can rapidly deliver massive quantities of precision and non-precision weapons against any adversary, anywhere in the world, at any time. As to B-52, this is a long-range, heavy bomber that can perform a variety of missions. The bomber is capable of flying at high subsonic speeds at altitudes up to 50,000 feet (15,166.6 meters). It can carry nuclear or precision guided conventional ordnance with worldwide precision navigation capability. All B-52s can be equipped with two electro-optical viewing sensors, a forward-looking infrared and advanced targeting pods to augment targeting, battle assessment, and flight safety, thus further improving its combat ability.